PTI’s VeriPac vacuum decay leak testing technology has a proven capability of non-destructive package testing and reliable leak detection as small as 10 microns, identifying process issues before they become critical. 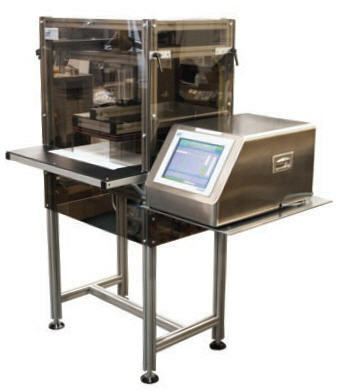 The new VeriPac 425/LP brings this proven technology to an automated level to further reduce waste and improve testing capabilities. Using a conveyor infeed, the pouches are automatically fed into the test chamber. After the test cycle is completed, defective packages are automatically rejected and good packages are placed back into the production line. VeriPac provides a qualitative result (PASS or FAIL) as well as quantitative data that correlates to leak rate and leak size. Good packages are not discarded, dramatically reducing waste from quality testing. Significant product savings can be created at the plant and retail levels.